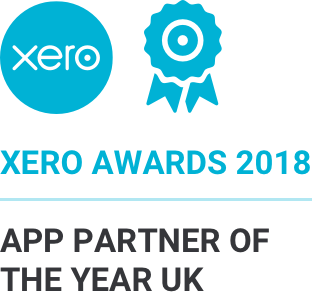 Collect payments automatically on your KashFlow invoices as soon as they’re due. Free integration. 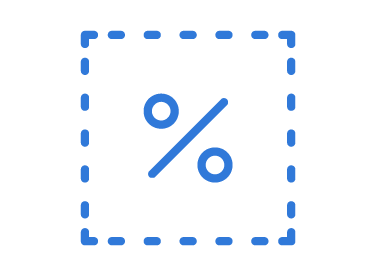 Just 1% per transaction, capped at £2. 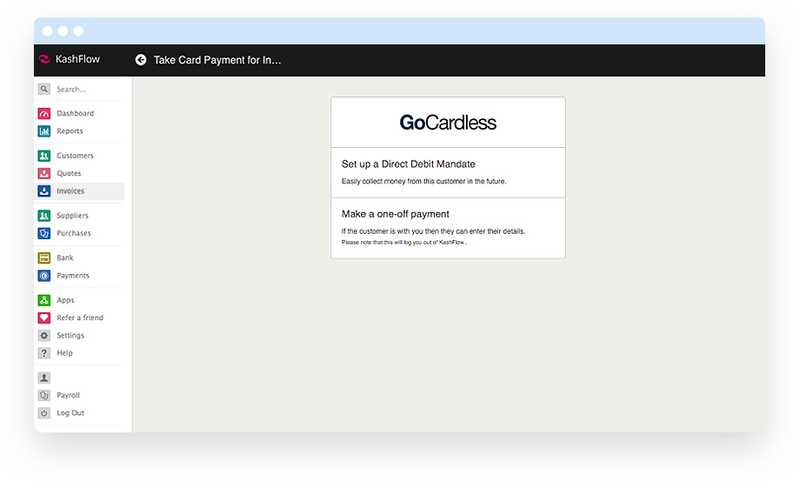 Get started in minutes by connecting your GoCardless and KashFlow accounts. 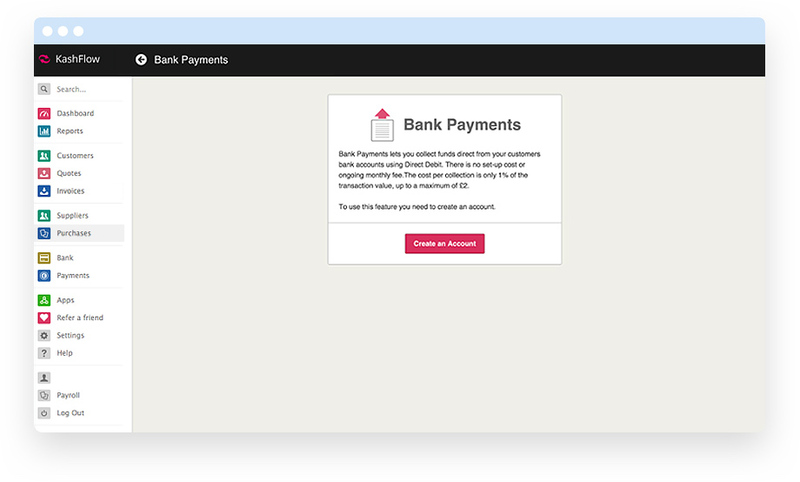 You can do this from the Payments tab within KashFlow by selecting the ‘Bank Payments’ option. Send out email requests to your customers to set up a Direct Debit mandate. 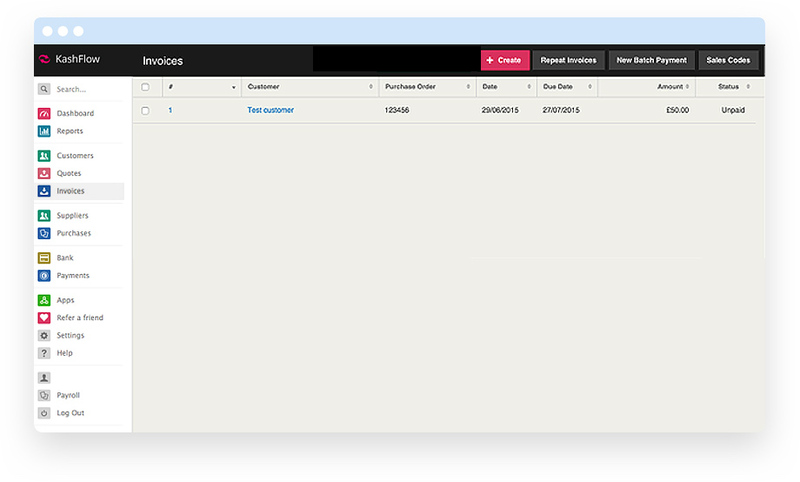 You can do this via the customer tab or when you create an invoice in KashFlow. 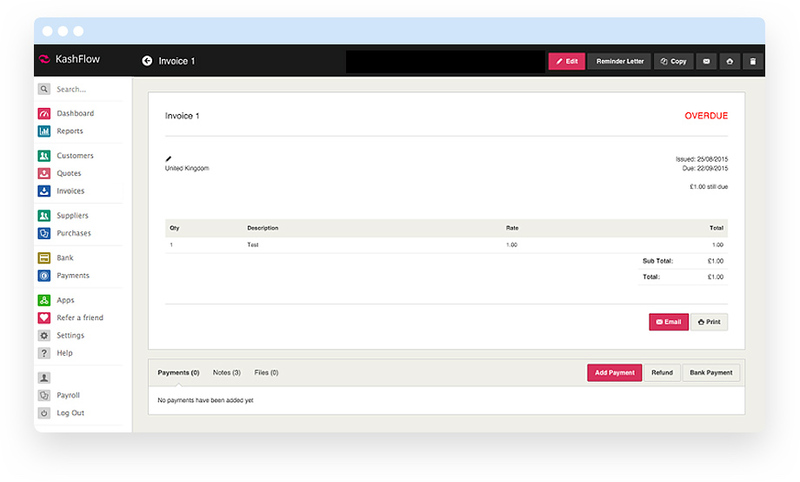 Each time you create an invoice in KashFlow, you can collect the payment automatically by Direct Debit. Alternatively, your customers can also make one-off payments by Direct Debit. Our KashFlow integration is free - no set up costs, no monthly fees and no hidden charges.